This sequel to the original Bow Master game brings the player to feudal Japan to hone their skills in the art of Kyudo – the way of the bow. Like all martial arts Archery needs a lot of practice, but there are a few tips that will help you get through. First: With moving targets, try to predict the target’s path and aim where it will be, rather than where it is. Second: You will need to aim your bow higher or lower depending upon the distance. The arrow is affected by gravity so aim higher for more distant targets. To get the maximum number of points you’ll need to remember that time and accuracy count, so aim carefully and loose your arrow quickly to hit the increasingly tricky targets. 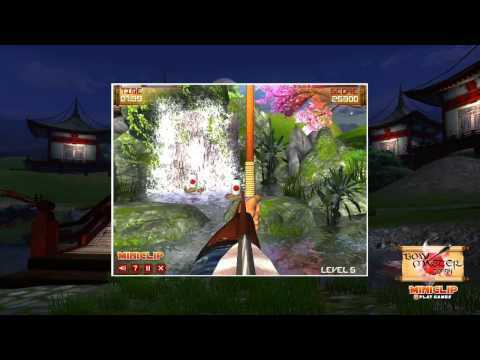 Have a moment of zen as you train in the beautiful temple gardens in a quest to become Japan’s greatest Bow Master.